LAS VEGAS—The William F. Harrah College of Hotel Administration at University of Nevada, Las Vegas is celebrating excellence in hospitality at the 12th Annual Vallen Dinner of Distinction on Nov. 17. 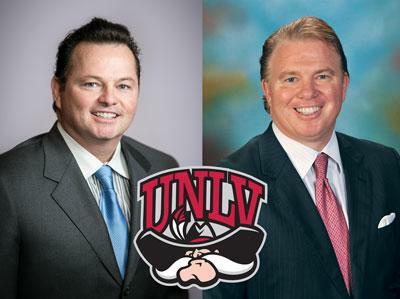 Hotel franchise and development executives and college alumni, Timothy ’87 and Michael Muir ’88, will each be presented with the college’s prestigious Hospitality Industry Leaders of the Year award. In addition, the college will be honoring gaming executive Thomas Jingoli ’96 MS, who was named Harrah Hotel College 2016 Alumnus of the Year at a campus-wide ceremony in May. The event, to be held at the MGM Grand Conference Center, will feature a cocktail reception at 6 p.m., a formal dinner and program beginning at 7 p.m. and a silent auction hosted by Harrah Hotel College capstone students. Individual tickets and group tables can be purchased at unlv.edu/hotel/vallen. All proceeds from the event will go toward establishing the Harrah Hotel College Alumni fund, supporting the college’s efforts to recruit industry- focused students from hospitality programs and high schools around the country.